It goes without saying that indoor air quality (IAQ) is an extremely important part of a healthy and comfortable environment. However, to ensure good IAQ, a number of things need to be inspected in your home; namely, the whole HVAC system (heating, ventilation, and air-conditioning), which includes air ducts, grills, air filters and coils. Air ducts are of particular importance, for they can contain particles that can endanger your health if you breathe them in. If you have good reason to believe that duct cleaning will improve your indoor air quality, you should definitely get it done. Just beware of companies that try to take advantage of your fears and overcharge for these services. If a trustworthy home or mold inspector recommends getting your ducts cleaned upon assessing your home, you should seriously consider it. And if you do decide to get it done, make sure it’s done right. As the providers of duct cleaning services in Ottawa and Montreal, we are glad to help you understand exactly what proper duct cleaning represents, what should be done, and what must not be done. Here are some tips for effective duct cleaning. When most people think of mold, they think of the obvious black spots on walls, carpets, grout and furniture. However, many times, problematic mold problems aren’t as easy to spot or locate. That’s because mold often hides in air ducts, where it can be easily missed during a visual inspection. This is why you should ask professional mold inspectors for advice if you’re experiencing mold-related symptoms without any visible or obvious mold growth in your home. Experienced inspectors are able to locate mold growth even in the most inaccessible places using a variety of testing and detection techniques including thermal imaging scans and air sampling. As always, it is important to pay attention when choosing an inspection company to put your trust into. This brings us to our second recommendation on what to do if you do opt for air duct cleaning. Beware of “professionals.” We wrote about a similar topic earlier this year here, but it is good to keep this in mind. Not only will a poor mold inspection make it more difficult to properly identify mold problems in your home, but it will also prevent effective cleaning of your air ducts. We often say that not everyone can remove mold safely and effectively, and the same can be said for duct cleaning. Because duct cleaning is one of the most effective ways of reducing exposure to indoor air pollutants and ensuring a healthy indoor environment, it should be done by a responsible, reputable and certified company. So, before you commit to a cleaning service, make sure to check their qualifications. Yes, we will clean your ducts thoroughly. But remember, you need to address other potential sources of air pollution that could be contributing to your dusty ducts. So if you’re going to get duct cleaning done, make sure to think about how you’re going to handle pollutants such as burning furnaces, stoves and fireplaces in order for the cleaning to be effective in the long term. Another thing you really want to do is prevent dirt and water from getting into ducts. Do not forget to change your filters on time, turn off the ductwork if there is a possibility that some particles may enter it, and clean your home regularly. Also, once you have your ducts cleaned by the professionals, be sure to have the system sealed/re-insulated and checked. • Your furniture requires dusting frequently, and cleaning does not remove all the dust. Have you ever felt like you have just finished a long, thorough process of cleaning, and yet, you still see dust left all around your home? This is a clear signal that there are issues with your ducts. •	You experience repeated health problems. Symptoms of poor indoor air quality include sinus infections, runny nose, nasal congestion, burning sensation in your eyes and occasional headaches. 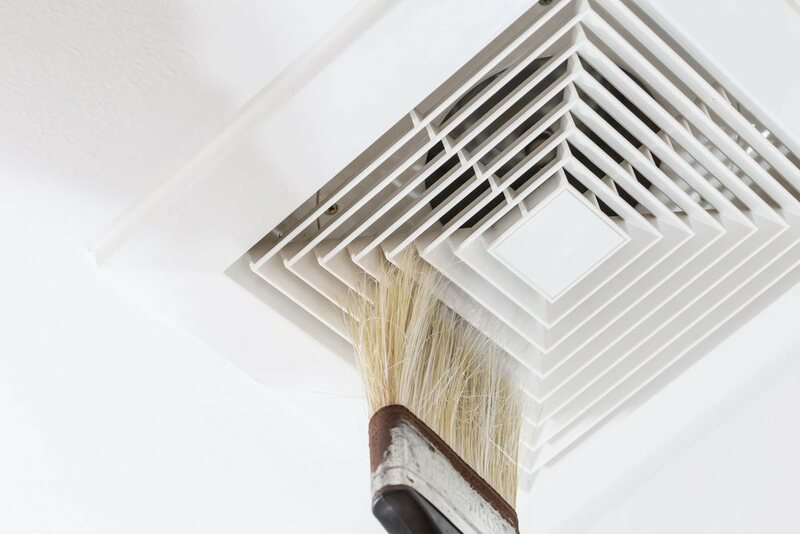 Moreover, if you experience allergic reactions more than usual (without any other reasonable explanation why), the entire duct system may be compromised and you need to get it checked asap. •	There is limited or no air flow. No air flow or weak air flow tells you that something is definitely wrong with your ducts (e.g. a blockage of some sort). For this reason, you should contact professionals to check and clean them. Be proactive. Long-term exposure to poor indoor conditions can result in health problems such as respiratory diseases. In fact, according to the United States Environmental Protection Agency (EPA), poor indoor air quality is rated among the biggest threats to our health in terms of environmental problems. Additionally, Health Canada recommends that any leaks, air quality issues and mold problems in a home be corrected right away, especially in kitchens and bathrooms, since they are prone to these troubles. Always try to ensure good indoor air quality, even if there are no noticeable signs of duct dirt. Occasional checking won’t do you any harm. It is natural that we want to save money, but we also want complete and professional service. At Mold Busters, we try to offer competitive prices for comprehensive duct cleaning; however, with other service providers, this might not be the case. Some of our competitors offer partial cleaning hidden behind unbelievably low costs, or they want to lure you to accept additional costs and services that are not included in the original amount. Duct cleaning is a complicated process and it must be done properly in order to prevent further issues. As such, always be cautious and ask questions if a quote seems too low. Most organizations in the indoor air quality industry do not recommend the use of sprays or any other chemicals that can worsen air quality inside ducts. All chemicals (including sealants, disinfectants, and biocides) can present a threat to our health. In addition, no registered chemicals are approved by the EPA for use inside air ducts. If a job is done right, there is no need to introduce a new source of pollution into a system that has been properly cleaned. The HVAC system is an intricate system of many components, and so, it must be treated professionally and with care. To reduce risks, begin by selecting a certified contractor. You may choose to clean the ducts in your house by yourself; however, even if you do it right without causing any damage, it is almost certain that you will not remove all of the problematic particles due to the lack of professional equipment and knowledge. In the end, do not forget that proper air duct cleaning needs to be done carefully and completely. This includes opening all access ports/doors in order to clean the system fully, but only upon having the system tested for asbestos. Asbestos-containing materials need to be removed using specialized techniques and equipment. It is thus, once again, important to wisely choose your service provider. Mold Busters is certified by many organizations, including the National Association of Mold Professionals (NAMP), the Restoration Sciences Academy, and the Régie du bâtiment du Québec (RBQ). Call us today to book your inspection.